EveryMom'sPage: Thanks Everyday Me Ph! EverydayMe is an online platform created by Procter & Gamble. You just have to create an account to their website to get complete access to all the website features like posting reviews and rating their products. Earlier today, I planned to visit our local post office to check if my package from abroad already arrived. Sadly, the post office haven't received anything for me yet from overseas but I have a local package that has been sitting there for three weeks now. I had no idea where it came from until I get home and opened the package. It surprised me to see it came from Everyday Me Ph. I remember I signed up to get free sample of Ariel in their website last month. So, that's how I received this package. 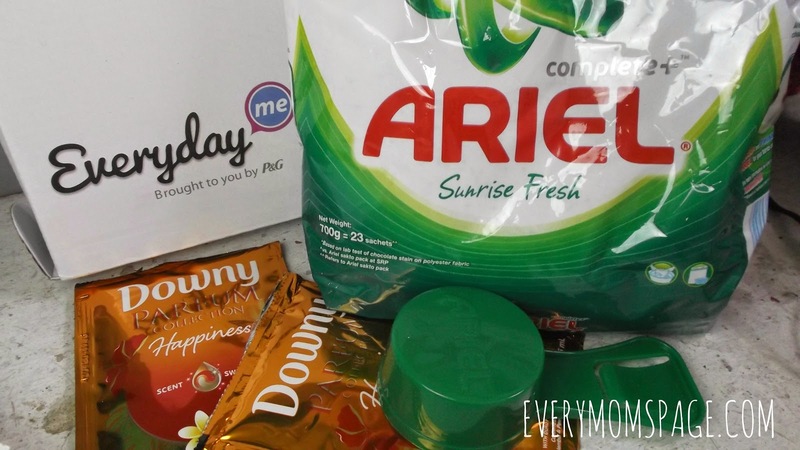 Thanks so much P&G and EverydayMePh for this unexpected package.